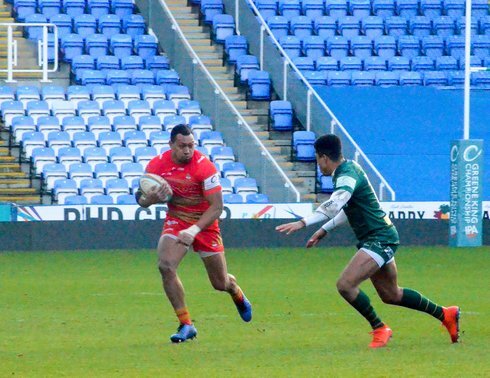 Cov's Championship Cup run ground to a halt in the wide open expanses of a cold Madejski Stadium in Reading yesterday afternoon. 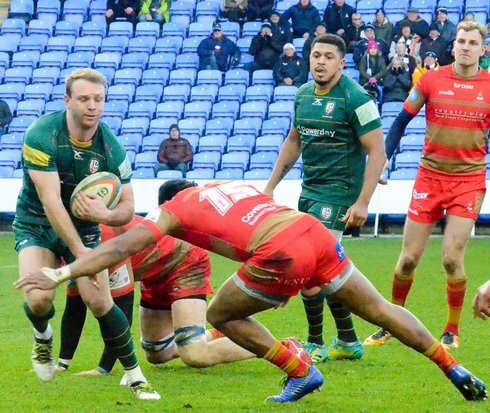 The Blue & Whites, quite fairly considered underdogs, nevertheless put up a strong showing for their hardy band of travelling fans, touching down twice, not including a disallowed effort, and finished within 10 points of their much-fancied hosts London Irish. The Exiles had trimmed their squad somewhat, admittedly, but still retained a strong line-up (far from an Academy selection as initially believed), and are quite clearly in the competition to win it. Rightly so. On the away side of the programme's team lists, Cov had selected pretty much a full-strength side - given that quite a few of the usual shoo-ins were unavailable for whatever reason, and also included a couple of Development squad regulars in backs Will Flinn and Dan Lewis on the bench. In the event both entered the fray, and delivered themselves a fair dollop of justice, even if Flinn's appearance was rapidly curtailed by injury. This, unfortunately, had the effect of reducing Cov to 14 men for the latter shots of the game due to having already thrown all their replacements on. 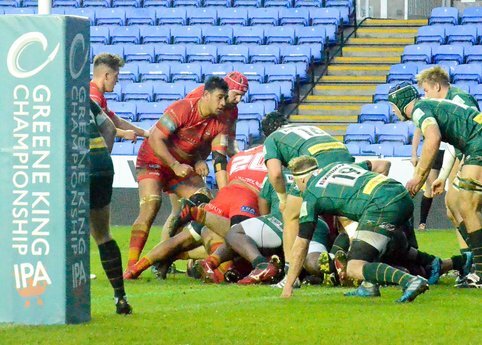 However, as so often, Cov dug in and threw the kitchen sink at their hosts for the final 10 minutes or so, and came very close to finishing with a third try right at the death. And so we bid goodbye to the much-maligned, unloved, and poorly supported (at most grounds) Championship Cup for at least season 2018/19. 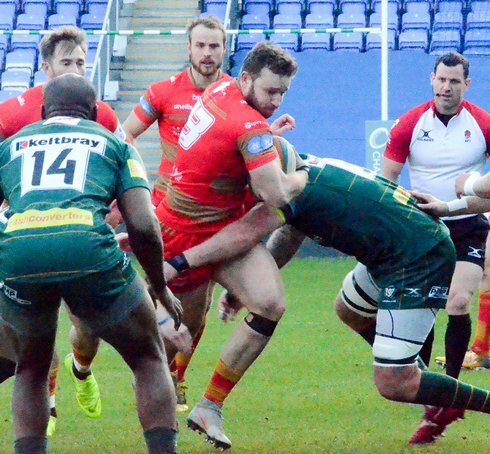 It remains to be seen if the RFU will ever find a suitable sponsor for Level Two, and therefore find themselves in a position to expand the league to 14 or even 16 clubs, and thus able to ditch this white elephant for good. 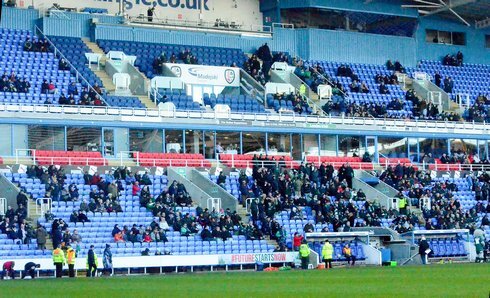 Yes, Cov earned a few quid from it, but how much more could they make from 30 home league games - assuming no central payout cuts? A dilemma, but one which I'd love to see resolved. Witness the announced attendances at this weekends three quarter-finals, if evidence of the futility of it all is required. Faleafa off (blood?) on three minutes. 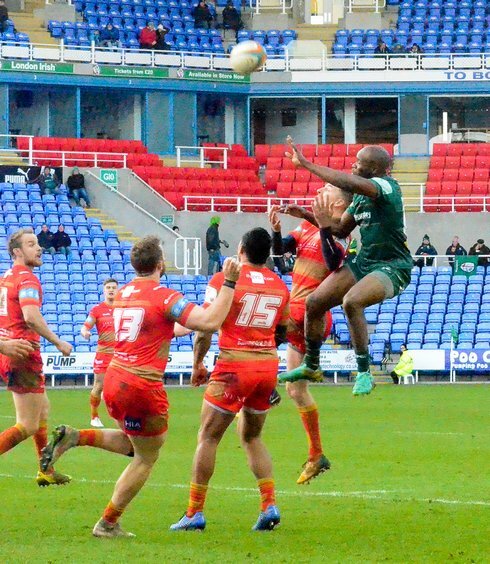 Cov try from Andy Bulumakau interception on halfway, on 7 minutes. Conversion from Maisey makes it 7-0. 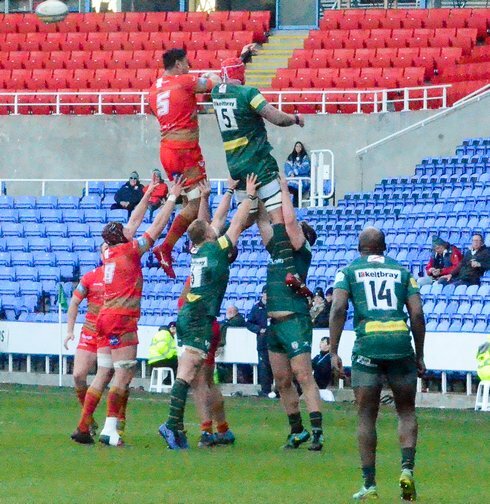 Spell of Irish pressure resulted in two penalties taking them to the Cov 5m with a sharp Irish move from the lineout resulting in a try from Elrington, which is converted by Atkins to bring it level at 7-7. Faleafa returns on 14 minutes. Irish's Maddison scores on 20 minutes, conversion by Atkins takes the scoreline to 14-7. Peters replaced by Oram on 21 minutes. 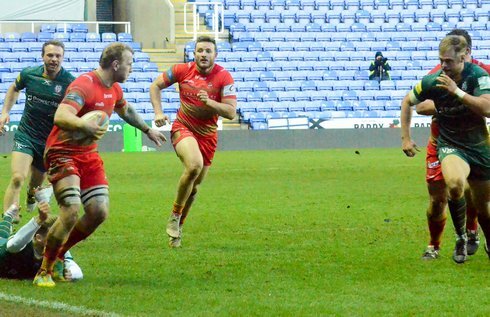 Cov 'try' disallowed by referee Dickson on 24 minutes. Penalty to Irish on 37 mins. Converted by Atkins for 17-7. 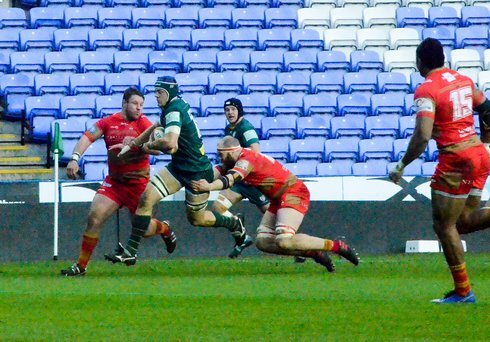 Pressure by Cov right at the end of the half failed to close the gap. Lewis to full-back and Halaifonua moves to the wing at the start of the second half. Maisey pulls three points back from a penalty on 53 minutes. (17-10). Flinn replaces Kessell (60 minutes). Irish yellow card on 80 minutes with Cov pressing, but it finishes 27-17 with what appears to be a knock-on on the Irish try-line. Edited 1 time(s). Last edit at 2019:02:08:12:33:09 by AdminBTCov.